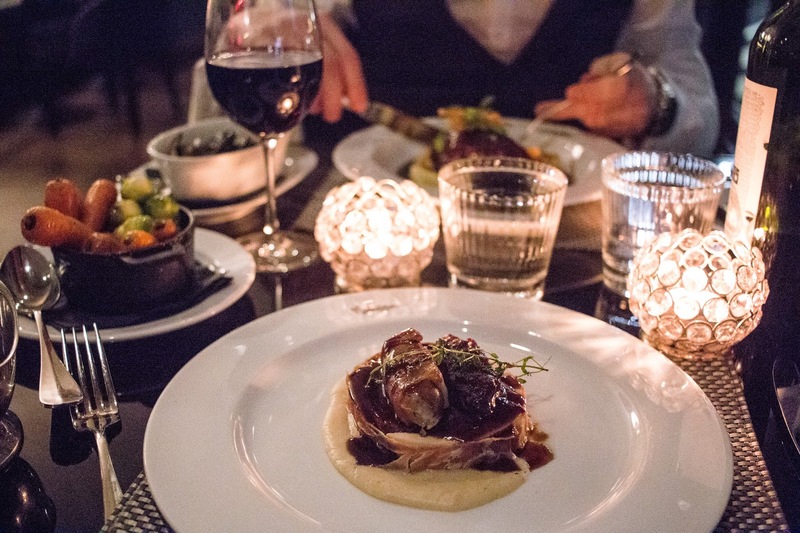 With the festive season finally upon us, tis the season for a little indulgence, right? 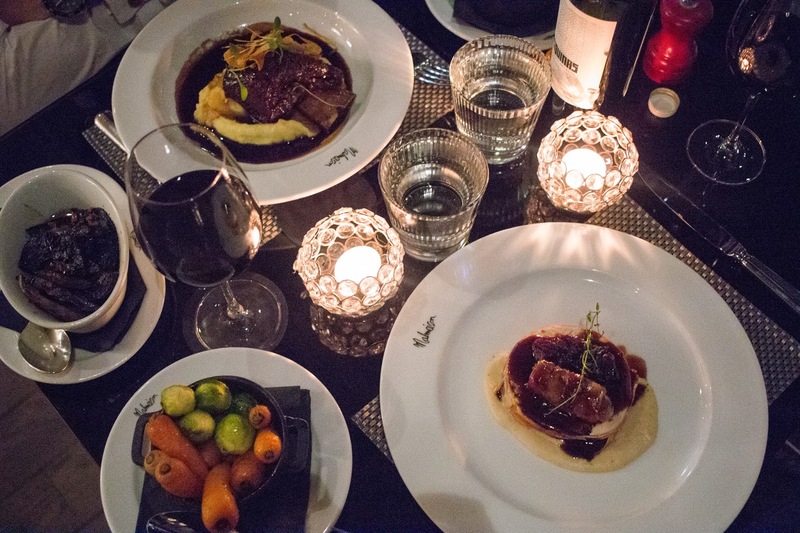 And what better than with dinner at Malmaison? Available for the rest of December, their Seasonal Fixed Price menu offers delicious courses for £19.95 or 3 courses for £24.95. 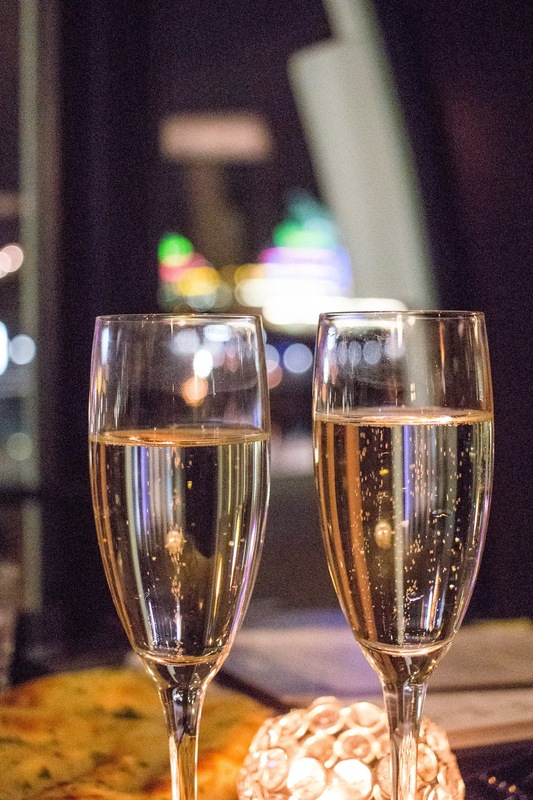 Perfect for a luxe date night that won’t break the bank! 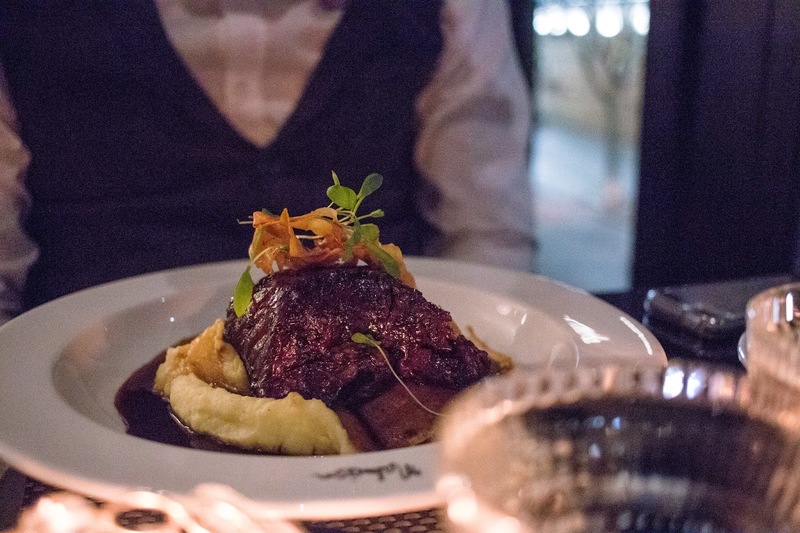 And with Malmaison’s January offers meaning that you can get a room, two course meal and bottle of wine starting from £119 you could even make a night of it. 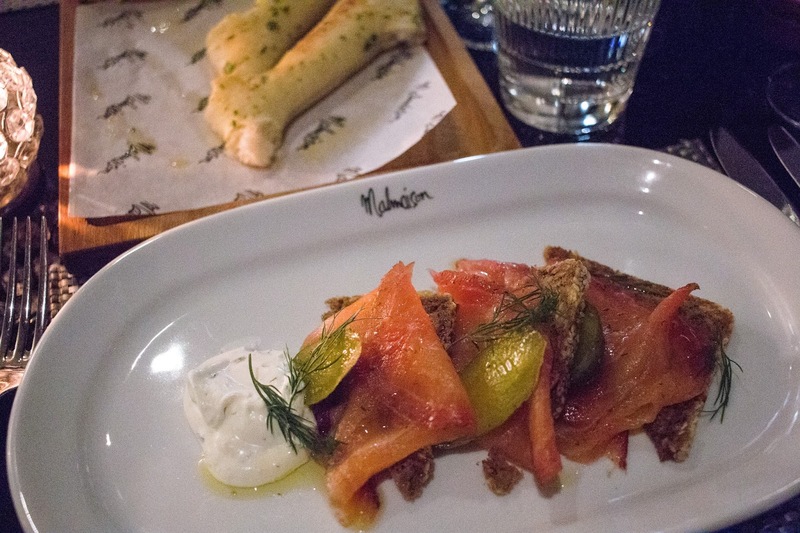 As with most of Mal’s menus, the starters range from chicken liver parfait and smoked salmon to curried red lentil soup. 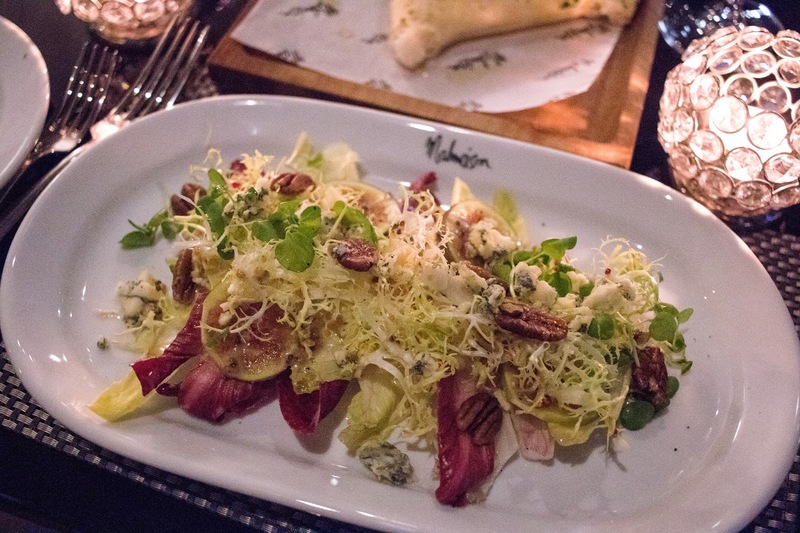 If you’re looking for something a little lighter, try the stilton, fig and endive salad. Served with caramelised pecan nuts, the combination of flavours packs a deliciously crunchy punch. Not keen on going all out Christmas? No problem, the mains offer a nice variation on the usual with smoked haddock fish cakes and dolcelatte and walnut tortelloni for those not feeling like a big plate of meat and veg. For those not sick of it already though, there’s turkey with all the trimmings (namely prosciutto, cranberry and orange stuffing, roast potatoes, winter roots, bread sauce and cranberry compote). Or slow roasted smoked short rib of beef that’s practically falling off the bone. 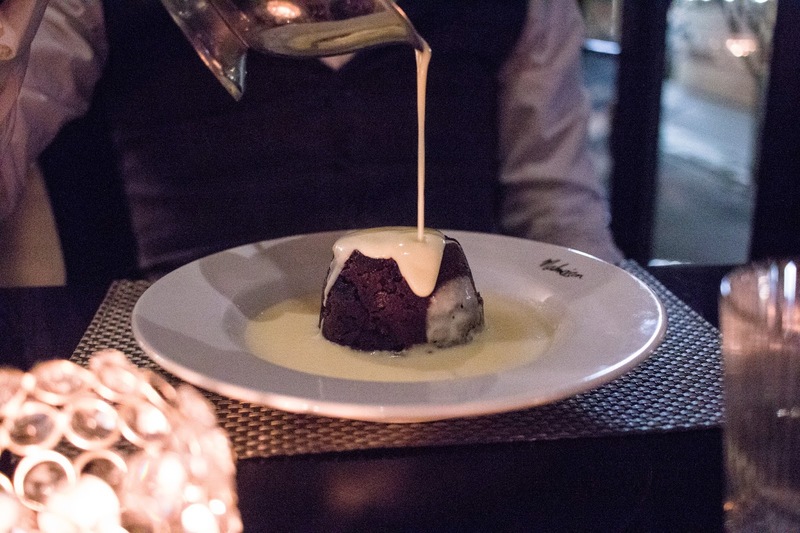 If you make it all the way to dessert, which I highly recommend that you do, indulge in something rich and chocolately like the valrhona chocolate mousse or classic with Mal’s Christmas pudding served with a delicious Cointreau custard. Cheeseboard optional.